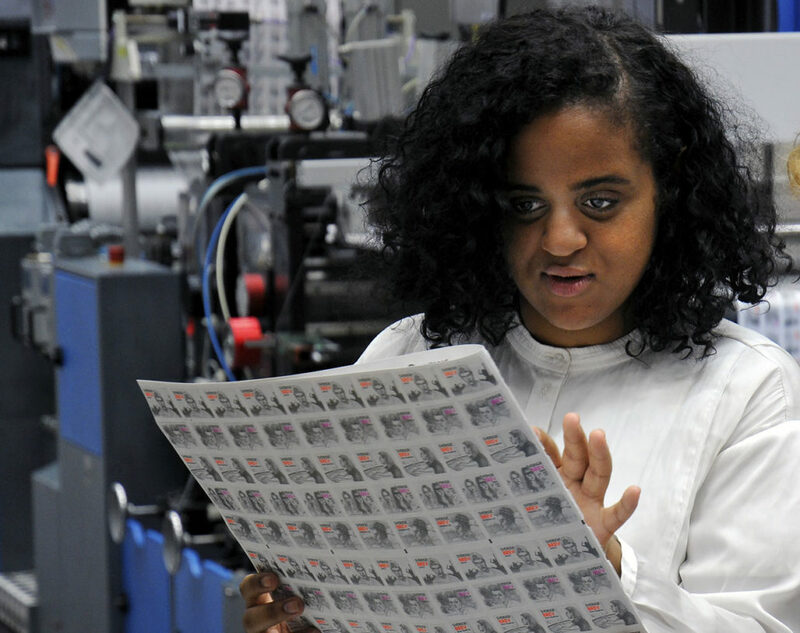 Seinabo Sey sees her stamp for the first time. The singer visited the Kista print fascillities for a quick glimps of the stamp featuring herself and the four other Swedish pop personalities. Apart from the promising singer the other stamps in the sheet sported electro songwriter/producer Avicci, the singer and record company owner Robyn, the songwriter/producer Max Martin and the duo First Aid Kit.